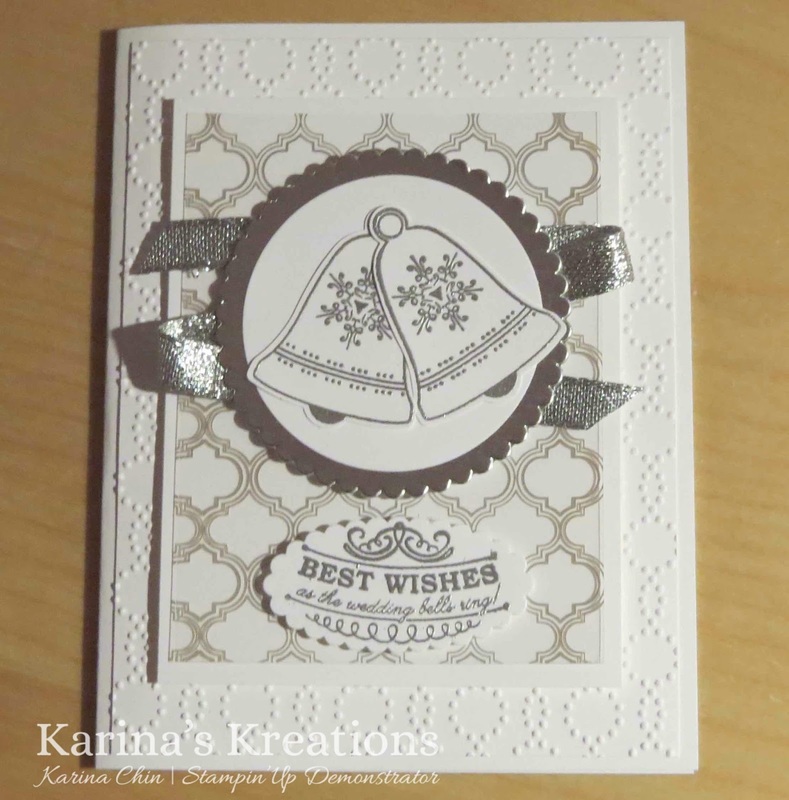 Karina's Kreations: Stampin'Up Seasonal Bells! I was at a really fun Crop/craft show in Calgary this weekend called the Creative Stitches show! I shared a booth with my friend Donna and had fun stamping with some new friends. I fell a little behind on my stamping projects so I finally finshed the Seasonal Bells stamp set of the month project. Stamp set of the month is a class by mail where I design three cards using one main stamp set. You can either have the finished cards or a kit to make the cards. The cost is $30.95 a month. If you sign up for 8 months you get a free stamp set of your choice for $21.95. My email is kchin2@telus.net if you want to sign up. Notice the acetate overlay under the bells. 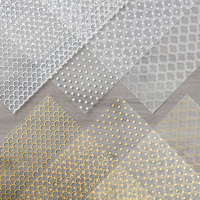 One side of the acetate is silver and the other side is gold. The order number is 141653 $16.00 for 6 sheets.